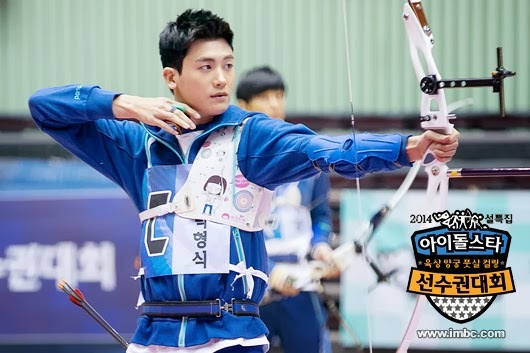 Since 2010, the idol star athletic championships has been held twice a year, and k-pop fans can see a variety of idol stars competing in the athletics championships during the New Year's holidays and Chuseok, the biggest holidays in Korea. For fans, it certainly is a great chance to see more than 200 k-pop stars all at once. However, there is the hidden power relations behind it, and it’s true there are many idols who are reluctant to participate in the athletics championships. Well, let’s see what’s happening in the k-pop world. No doubt, there's always a danger of injury lurking in sports. 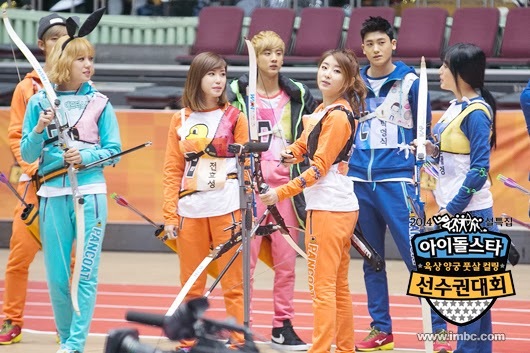 And actually there have been many idol stars who got injured at the idol star athletics championships. SISTAR’s Bora hurt her ankle and VIXX’s Leo has torn a ligament, while EXO’s Tao hurt his back and Apink’s Hayoung was wounded in the arm. And INFINITE’s Sungyeol and Woohyun were slightly wounded during the athletics championships too. 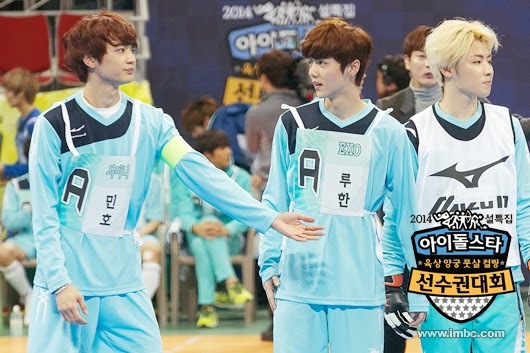 Well, unexpected injuries could have a bad influence on idol stars’ future activities, and that’s one reason why k-pop agencies and idols are not willing to participate in the idol star athletics championship. And the appearance fee for the idol star athletics championships is so low that k-pop agencies are always in the red, taking into consideration that they have to pay expenses for idols’ makeup, meals, vehicles, etc. Besides, it takes busy idol stars whole day to record the program and they have to give up other profitable schedules. And it also is a desperate thing for k-pop agencies and idols that they should pay for their fans’ meals at their own expense because the broadcasting company do not give any financial support. You know, fans of k-pop idol stars give help to the broadcasting company as audiences of the idol star athletics championship, and the recording of the program usually takes 15-20 hours, but there’s no one provides food to the fans, while the broadcasting company acts as if it is doing the fans a great favor, saying “You can see your idol stars because of us.” That’s why k-pop agencies and idols began to pay for their fans’ meals even though it is not a duty for them to do it. However, after the recording of the athletics championships, fans sometimes compare their meals with each other. And some of them blame k-pop idols who paid less for their fans’ meals. This puts the idols and their agencies under a lot of stress. As not all the idols and agencies are rich, it is very burdensome for some idols to provide expensive meals to their fans. 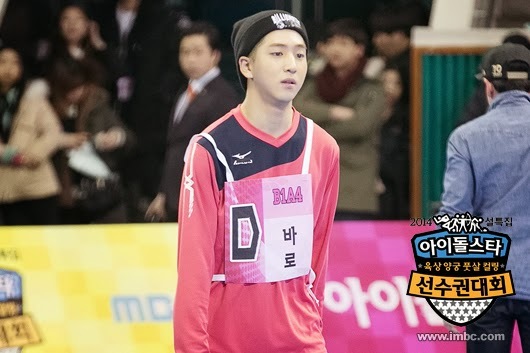 But, most of k-pop idols can’t refuse the broadcasting company’s request for appearance on the idol star athletics championships. Do you know why? Well, the idols are afraid they could experience a lot of unfair treatments after refusing the request for appearance on the athletics championships because the broadcasting company has the full power to hire idols for its TV shows and dramas. So, the idols and their agencies have to bite the bullet and back down on the demand. 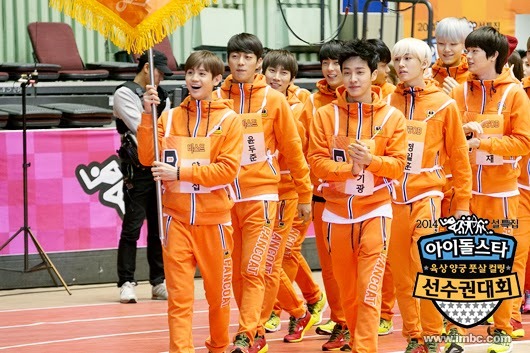 Of course, there also are some idol stars who really want to participate in the idol athletics championships because the athletics championships could be a great opportunity for those who have great athletic ability to receive the attention of a wide public. And some of k-pop idol stars love to exercise so much that they even cancel other schedules to take part in the athletics championships.